Many companies that are household names today (Zillow, Trulia) made their debut on the Connect stage as wee startups. This week, we’ll continue the tradition of giving the newbies a chance to pitch their business to the best and the brightest in real estate and tech. Here’s the second half of the roster for this year’s incoming class, which is so jam-packed full of potential stars that we’ve booked two sessions (see the first half). Join us at ICSF to decide for yourself who will make it big — and who will fade away before they even close out a funding round. SavvyCard is a St. Petersburg, Florida-based company focused on changing the way the world does business on mobile devices. 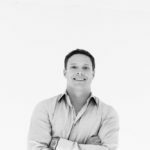 As CEO of SavvyCard, Etheredge has raised over $3.5 million in capital and helped the company become one of the most visible early-stage success stories in Tampa Bay. Etheredge is actively involved in sales strategy, design and development of new products and building strategic relationships with key third-party partners. He has been a speaker for TEDx Tampa Bay, mentors other local entrepreneurs and is an ambassador for St. Petersburg as a destination for other great startups. 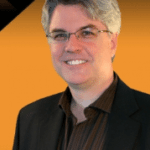 Brendan Farrell is the founder and CEO of HowLoud Inc. Early last year, he and his family were looking for a new home, and he wanted to find out how loud a home or neighborhood was before driving over to see it. He was surprised to find that such a resource did not exist, and very soon founded HowLoud Inc. to fill this need. 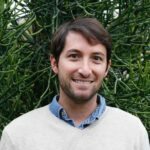 Farrell has a Ph.D. in applied mathematics and was an instructor at CalTech prior to founding HowLoud. Transform your space according to your style and budget. Hansen has spent her career successfully developing and launching innovative products in the consumer products arena. 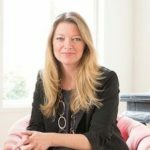 Prior to Decorist, she held marketing leadership positions at numerous consumer-focused companies, including Clorox, Del Monte and PeoplePC. A Harvard MBA graduate, Hansen is passionate about understanding consumers and creating products that meet their needs. 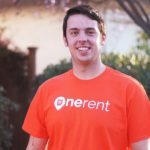 After going through a frustrating leasing process at Santa Clara University, Chuck Hattemer co-founded OneRent.co with his classmates Rico Mok, Greg Toschi and Arman Dezfuli-Arjomandi. OneRent initially started as a leasing and listing site, but the team quickly realized there was so much more to be addressed within the rental market. They saw that the roots of their real frustrations stemmed from the outdated model of property management, where things have stayed pretty much the same for 50 -plus years. There has yet to be a property management company that gives the power back to the property owner while still keeping renting a hassle-free experience. That means increased transparency, efficiency and consistency in the management model. OneRent now offers full property management services built off of the Internet of Things and an on-demand network of “Property Concierges” who service properties all over the San Francisco Bay Area. 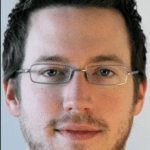 Colin O’Brien, CEO and co-founder of SnApp, has 10-plus years as an executive in the online technology space after starting an SEO agency, E-Consulting, which was acquired in 2014. E-Consulting works with local and national brands, from small businesses, to large commercial real estate companies. While leading E-Consulting, O’Brien helped to transform the online visibility of over 1,100 businesses with a focus on organic search ranking, visitor-to-lead conversion and aggressive milestones. O’Brien also owns Web Leads (webleadsinc.com), an online lead generation company that generates B2B sales leads in more than 30 verticals. 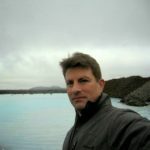 Rick Orr is a serial entrepreneur based in Austin. RealSavvy is his fourth technology startup; he also recently founded mobile payments leader TabbedOut. In addition to building multiple successful startups, Orr has also been an active Realtor since 1998. It is this passion for creating a better world for agents and their valued clients that drove Rick to create RealSavvy. 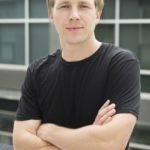 Kristian Peter is a real estate innovator, investor and entrepreneur, having sold over 2,500 properties and developed multiple Web and mobile apps. Next up for him is the development of HomeBuzz, an enterprise mobile platform that allows real estate brokers, agents and mega-teams to showcase their dominance of markets by gamifying the job of the real estate professional. 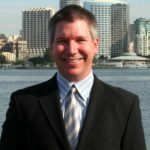 Judd Schoenholtz is CEO and co-founder of Open Listings, a software-powered real estate brokerage that works with homebuyers throughout California. Open Listings is building an online experience backed by human agents that streamlines the homebuying process and — by charging a low flat fee — makes buying a home much more affordable. 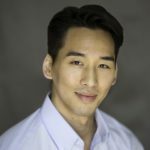 A first-time homeowner and serial entrepreneur, Justin Shum previously founded and was CEO of ReadyChat, a leading live chat services provider for real estate industries. Shum’s experience at ReadyChat, coupled with his personal frustration with the homebuying process, revealed an unmet need in the real estate space for greater sharing of information without the friction traditionally found in hiring a Realtor; thus, Avenue was born. Avenue is a real-time smartphone app that quickly connects real estate agents with consumers, 24/7, offering free advice about buying or selling real estate. Dean Soukeras is co-founder and COO of HomeSwipe, an app that offers reliable listings, fun and easy search, and the ability to save your favorite listings and message agents instantly. In his role, Soukeras concentrates on all aspects of business development, marketing and sales. In previous positions, he was in charge of commercial lease and sales negotiations, large tenant relationships and fiscal oversight. Soukeras is perfectly positioned to help take HomeSwipe to the next level, bringing real-world intelligence and experience to HomeSwipe’s national expansion plans.